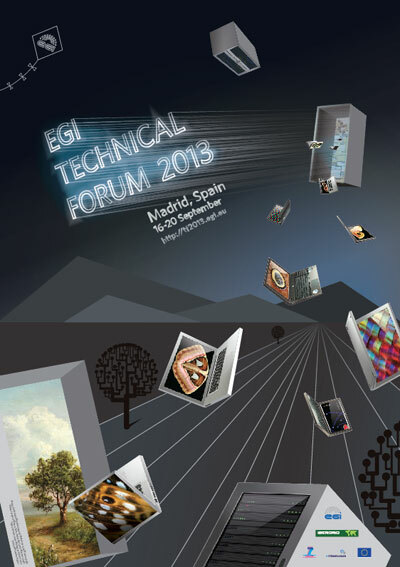 The EGI Technical Forum 2013 took place from 16 to 20 September in Madrid at the Meliá-Castilla Hotel & Convention Centre. The event was being organised with the support of the Ministry of Economy and Competitiveness of Spain, the Spanish National Research Council and Red IRIS. 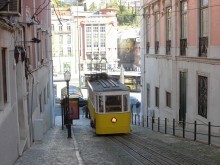 The event was hosted by EGI.eu and IBERGRID, a partnership between the Spanish and Portuguese National Grid Initiatives that represents the Iberian Peninsula in EGI. Steer the financial, technical and political governance of the EGI ecosystem so that it continues to thrive for the decades to come. Co-location of these conferences aims to ensure the event was attractive to a very wide audience of technology and resource providers as well as the leaders who are at the cutting edge of research. Further details are available via the EGI TF13 Website. 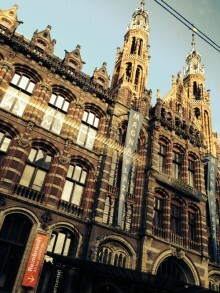 During the “VRC Project cases Whorkshop” (Wednesday 18/09, h. 14.00) there was a presentation taken by Rosette Vanderbroucke and Antonella Fresa on “An e-infrastructure for the Digital Cultural Heritage sector and the humanities research” (PDF, 1,15 MB) related to and as representatives of the DCH-RP project. The most viewed GridCast video at the recent EGI Community Forum 2013 was a story-telling cultural preservation project. 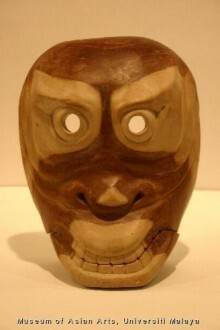 The University of Malaya is assembling an archive of 2D and 3D images of 111 wooden masks carved by the indigenous in Carey Island, Malaysia. EGI brings together a platform of computing resources from centres across Europe. Many of these have experience in providing services for the DCH research community. EGI is now building on this heritage as a partner in the DCH-RP project and participation in the Euro-Mediterranean Conference in Cyprus.